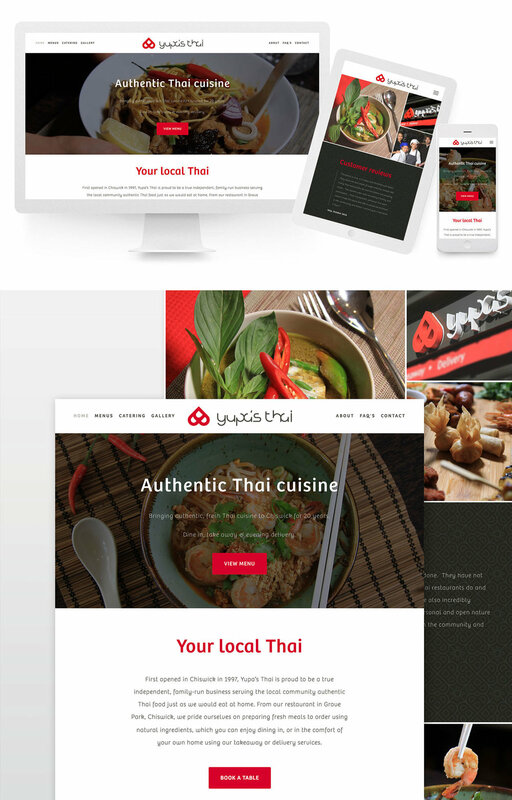 We worked with Chiswick based Thai restaurant 'Yupa's Thai' on the design and development of their new website, allowing customers to easily browse menus, read reviews and book tables online. We also provided a photo/video shoot, capturing content for striking galleries and video banners on the new website. From colourful ingredients in the kitchen to beautifully presented dishes ready to be devoured, our aim was to give customers a real taste of Yupa's delicious cuisine before they visit the restaurant. And the highlight for us... tasting all the yummy dishes after the shoot! Whilst the new Yupa's Thai website was under construction, we set up a smart holding page, using footage from our video shoot.